Home care you can trust. One of only 3 Northern CA agencies awarded Leader in Excellence by Home Care Pulse, and considered one of the BEST in the nation! Hillendale Home Care utilizes Clear Care, a San Francisco based home care scheduling software that allows family members to log in and view schedules and much more through the Family Portal. Watch this brief video demonstrating the user friendly Family Portal. Care begins with a FREE RN or PT assessment visit. Flexible schedules from 1-24 hours. Victoria has been with Hillendale since 2003. She has recently graduated LVN training and is now Head Caregiver, offering guidance and assistance to our 90+ caregivers. She truly loves her job and we love her! She is a top rated caregiver on our Home Care Pulse client satisfaction surveys. Elia is a seasoned CNA who is well loved by all of our clients. She brings a wide skill set and warm personality to her work. She is a top rated caregiver on our Home Care Pulse client satisfaction surveys. Nina originally graduated from Hillendale's CNA school and has been a valued member of our staff since graduation. She is a top rated caregiver on our Home Care Pulse client satisfaction surveys. 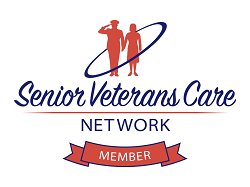 We are partnered with Veterans Home Care of California to provide assistance to veterans needing home care services. We are a preferred provider for Long Term Care Insurance and can assist with the claims implementation. My wonderful dad has had different care needs -- from 24/7 post-hospital help to “he'd love a little company and a fresh dinner.” Each and every need has been met by Hillendale, with gentleness, respect and professionalism.They have been patient with my attempts to “anticipate” a changing hospital release date. Their caregivers notice dust that I had not (and quietly cleaned). They call to report any bruise or bump that Dad might be reluctant to tell me. In short, they are there for Dad, and for me. At that critical time, when you need someone to trust, this is the agency to use. Hillendale Home Care provides superior supportive, compassionate service to the person in need and their family. I can not think of a more caring and responsive organization with outstanding professional care givers. I highly recommend them. Hillendale Home Care was a God send for our family. The organization is very well run, nurse-owned and managed, with experts - including nurses and a physical therapist - in management positions. The leaders are involved, hands-on, caring, responsive and really good at what they do. Documentation and billing was easy, too (we have long-term care insurance- and we had had such a difficult time with this at another agency, that I feared for the worst- and it turned out to be a breeze!). I highly recommend Hillendale Home Care. I was very impressed with how professionally the office and business are run. The staff is helpful and caring. I can say without any doubt that Hillendale Home Care offers a very safe and comfortable environment. I feel very comfortable leaving my parents in the care of Bridget Waller the owner and her staff. I just cannot say enough good things about them.